Aston Martin unveil their first crossover SUV product called DBX. 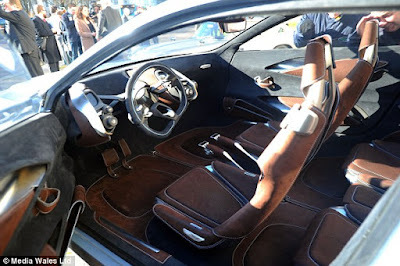 British luxury car manufacturer were to follow in the footsteps of competitors such as Bentley, Jaguar, and Maserati also played in the SUV segment. 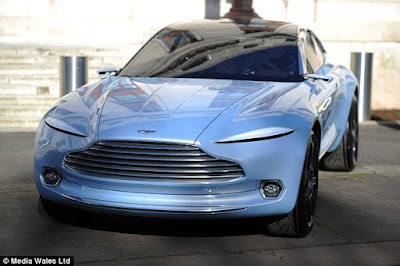 The concept car is planned to start production at Aston Martin's new factory in Santa Athans, Wales, in 2020. The factory was devoted to producing the latest models of Aston Martin. CEO of Aston Martin, Andy Palmer, who launching the DBX at an event attended by British politicians. "Throughout 103 years, Aston Martin has been known as a manufacturer that makes car use of human hands in the UK," Palmer said, as quoted by the Daily Mail. Not much is revealed from DBX. In addition because the product is still a concept, the time to enter the production line is still quite long which is four years. Of course, Aston Martin still had to do a series of tests before DBX really qualified production. Aston Martin poured funds of 200 million pounds for the product development, including building a new plant. The latest models DB11 is also part of the investment. Currently the land is still used by the British Ministry of Defence. According to the plan, the plant construction began next year.